There is a really electric feeling at that point for the first time ever we take an idea and try to turn it into reality. It's electric the first time you do it yourself, even if a million people have already done it, because you prove something to yourself. It's called learning. And when we do exactly the same thing for the first time ever it's called innovating. And lots of people have taken the ideas in my recent post about maximising choice and control in end of life and are beginning to try them out out too: real innovation happening right now! 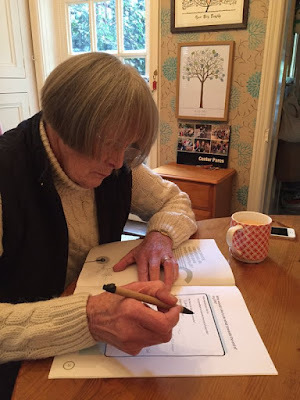 Pioneer of person centred thinking and planning Helen Sanderson followed the simple rule in person centred approaches: "Try it out with yourself or your family first, because the closest thing to experiencing using it in real life, is experiencing using it in real life". So she sat with her mum Carolyn, and helped her own plan for end of life. She had already started a plan, so they worked together on it further: Here's what they came up with together. To me, you have captured the essence of a person centred practice as soon as you can sit down with your mum and do it! Helen also pointed out something: It's quite routine for people like our mortgage advisor or our solicitor to ask us what our plans are for the end of our life, what will we do with our possessions? How will we pay for our funeral? 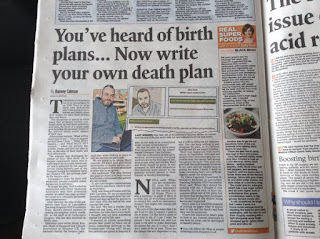 Why is it therefore so rare that nobody medical asks us about our plans for when we die? Could this be something our GP does? Whose job could it be? We also encouraged as many people as possible to try the new formats out at their own homes, hospices or workplaces, or indeed with their own friends and families. We will have a big online feedback session soon, using the hashtag #maxeolc. 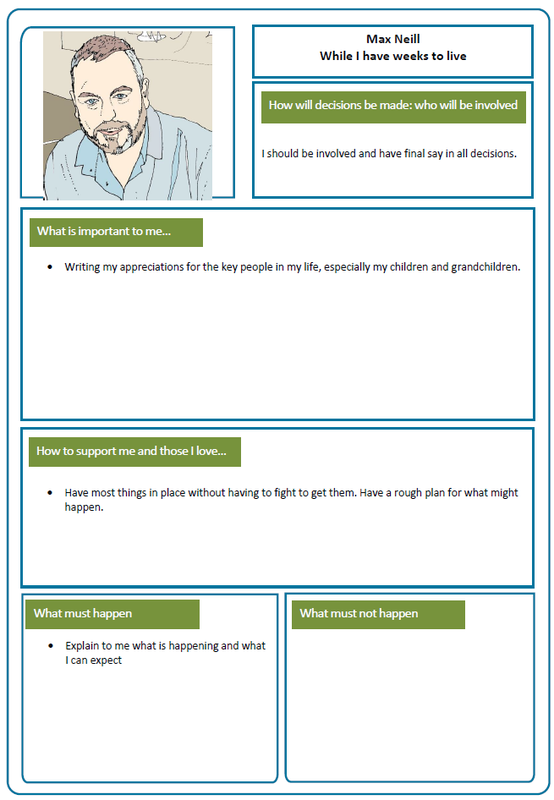 Don't forget to use the Advanced Care Planning 'Fink Cards' as a way of opening up really good conversations around end of life. It's not just in the UK. I sent out an electronic version of the Daily Mail article to my colleagues on the board of The International Learning Community for Person Centred Practices. Some of them have felt driven to action too! Laura Buckner said "I have shared your work online. I recently shared it with my cousin (end-stage lung cancer). I will have lunch next week with a cycling buddy of mine who also happens to be a hospice chaplain; I specifically want to share your work with him and talk about how we can collaborate to bring this to the many patients and their families he supports. and Michael Smull said "Great article. I hope it inspires many others to do the same. I have been sharing your planner here in the US. I have sent it to some of the federal officials I know and I was showing it the people in charge of social care and health in the Minneapolis area yesterday. I hope we can help it make a difference here as well"
So please feel free to become part of this process of innovation. Pick up the tools and try them out in your own workplace. Look out for further blogs on this topic, not just from me but from leaders in the field of end of life, and be ready to join in with the twitter conversation #maxeolc when we announce the date! In recent weeks the number of people coming to read this blog has shot up. It really began with my post on spending Christmas in St Catherine's Hospice and it has continued with my posts containing templates and ideas for personalising End of Life Care using person centred approaches. 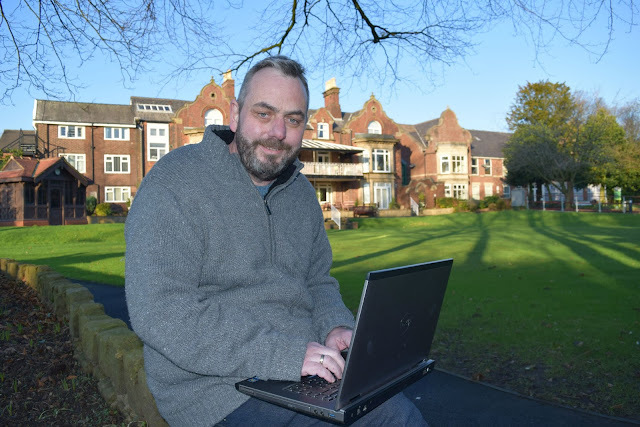 My posts have been featured by Blog Preston, and on Monday 25th January there will be a feature by Aasma Day in our local paper the Lancashire Evening Post. I'm not sure whether it will be online, so at the moment the only way you can read it is get your cash out of your pocket and to buy the LEP! I'm getting my nephrostomy tomorrow, so reading this article should cheer me up! Last week I had a procedure to insert a stent into the outlet of my right kidney, to allow urine to empty freely into my bladder. I needed a stent because my tumours have clustered round this outlet and basically clenched it shut. I know the urologist who attempted this procedure did his best for me, but he couldn't manage it. He said he had tried for half an hour, and could not even get dye into into the outlet because the grip of the tumours was too strong. Because it is so tightly gripped, it's unlikely that they'll be able to get a stent in from the other direction either. The stent procedure failing meant I had gone through a total anaesthetic and quite a painful few days recovery for my bladder and urinary tract, for no outcome. I did feel disappointed. 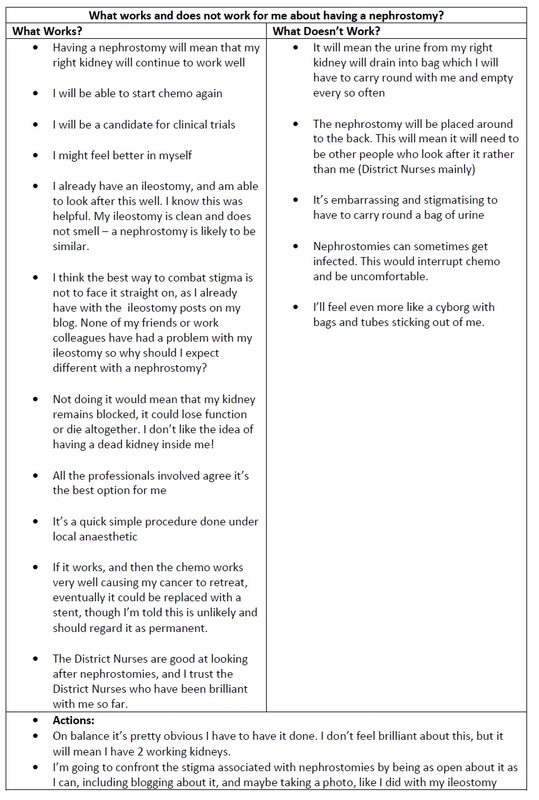 So now the alternatives that are left for me are either a nephrostomy, or to do nothing. A nephrostomy is "an artificial opening created between the kidney and the skin which allows for the urinary diversion directly from the upper part of the urinary system (renal pelvis)". 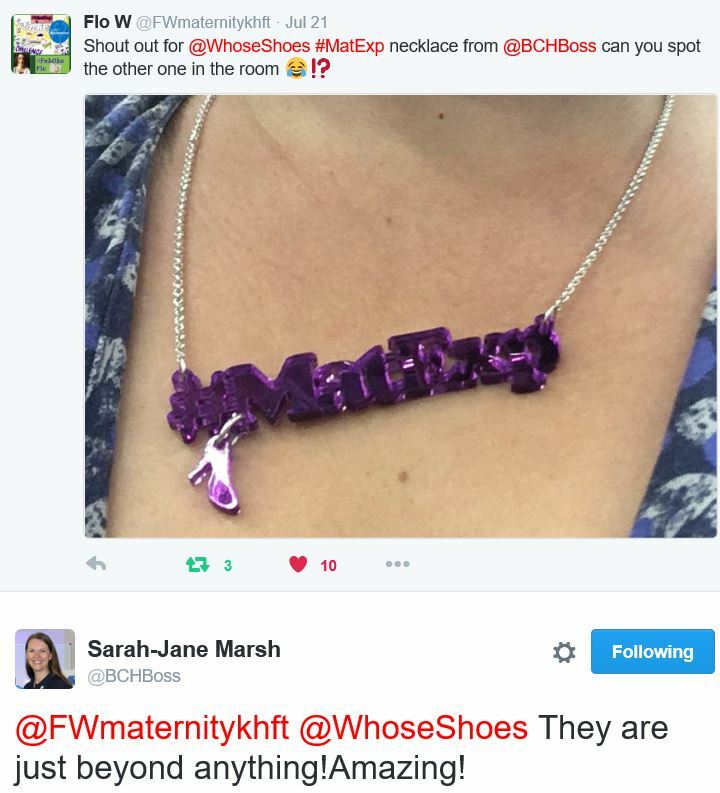 The MDT that met and talked about this (in my absence!) decided it was definitely the best thing for me. I like to think things through for myself too. Ultimately it's my body and me who has to make a life-altering decision like this, so anything that will help me with this is useful. Think About Your Life has a whole set of tools that can help with the decisions that affect people when they have cancer and other life altering conditions. Another good source for tools is the 'Living Well' document designed by HSA and Lancashire County Council. 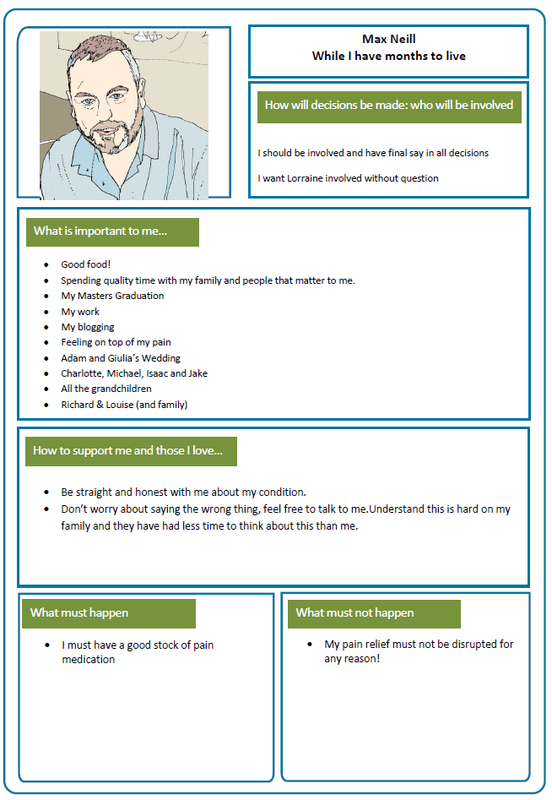 I decided to use the person centred thinking 'working/not working' tool from 'Think about Your Life' to think about what works and doesn't work for me about having a nephrostomy. I've shared my thinking here to show how the tool works. 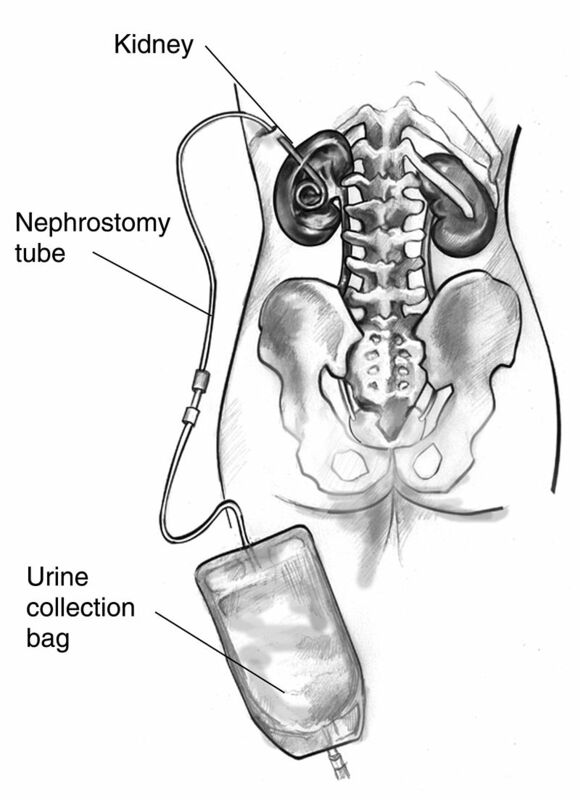 Using it is helping me come to terms with the idea of pushing a plastic tube into my kidney and then walking around with a bag of urine for the rest of my life. It's not an attractive prospect I agree, but on balance it's far better than the alternatives, and I have some positive actions to follow up. Other actions I'm taking are to seek out other people with nephrostomies, I hope there is a really good facebook group that provides support, similar to the way 'Get Your Belly Out' gives big confidence to ostomates with ileostomies and colostomies. Let me know if you've come across anything like this! Let's make it clear that I have no intention of dying for as long as possible into the future! I intend to take every opportunity I can, despite my stage 4 metastatic bowel cancer to live and enjoy life. If a chance comes up for more chemo or a clinical trial, I'm going to take it. However, I also have to be realistic about my condition and where it's likely to take me. I have quite an aggressive cancer that has mutated in unexpected ways. I may have years, in the worst case scenario it is just months. Of course it's hard to pin down how fast or slow the process of my death will be. Prognoses are notoriously unreliable and should be treated with caution, as rough guidelines rather than carved into stone. Nobody should get hung up on prognoses, and if anything, they are a challenge to go out and live your life as best you can! It's already clear to me that good planning helps people live as well as possible until they die. 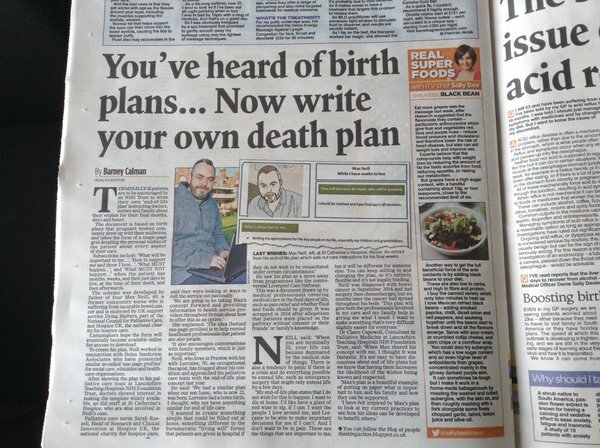 So I've been reading about and talking to people about 'End Of Life Planning', which I've found out involves a whole range of documents. I've been given packs full of quite daunting legalistic documents, that I feel I would need support from professionals to complete because of the difficult language they use. However, I also got hold of some great End Of Life 'Fink Cards' made by Sarah Russell and Helen Sanderson. These are a much easier way of starting a conversation. You can sit with your family and take turns to pull out a card, and then have a conversation about the question on the card. It works out you might only end up discussing two or three of the questions, as the conversations can quite quickly become in depth and cover lots of ground. The first time I tried this with my wife, we had been talking about the very first card for about 20 minutes, and it felt like we were really getting somewhere, then my phone rang: it was the hospital who needed me to come back in for another scan! I felt this showed how easily medical priorities can interrupt our personal priorities. 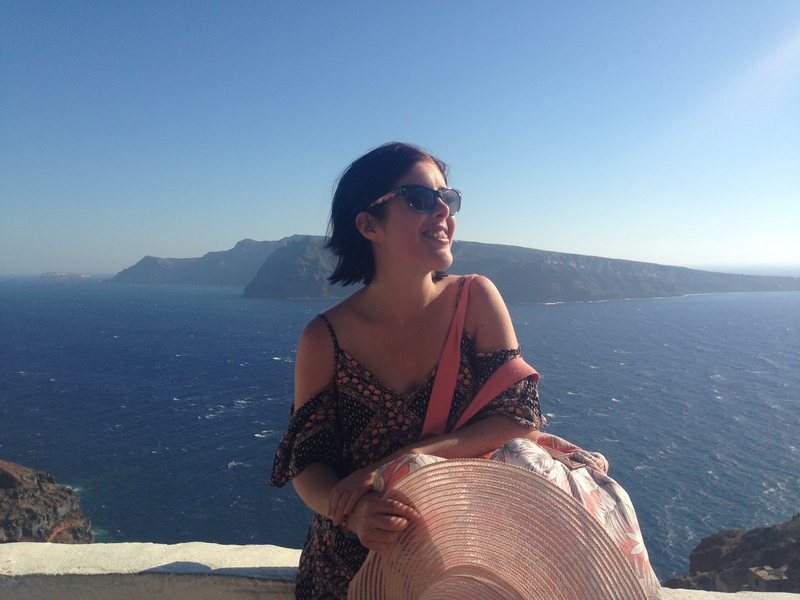 I have a history of working in Person Centred Planning and Thinking which is all about finding ways to enable the person to put their own most important wishes into the way they are supported, so that what is important to them actually happens in their lives, and they are supported in a way that is consistent with who they are. I was also pretty interested in the questions Atul Gawande has been asking about the things people really need to have conversations about at End Of Life, so that their wishes are truly heard. I thought to myself, that, from my own experience, there must be simpler, more person centred ways of creating and capturing information from conversations about our wishes for the end of our lives. Simpler ways that would be more led by the person themselves, and involve their family and closest loved ones as the key decision makers and information gatherers. My blogging about the possibilities of creating something useful at end of life was timely because it reached out to other people already thinking about this, including some of the area's leading academics, hospice providers and innovators in health and social care. These people are keen to try out different formats to see what will work best for people. In a way I see this as a very first attempt. I have lots to add and change. I also think the different headings might be tweaked and changed, although I do think they are 'open' enough to contain a lot of what is most important to people at end of life, and much of what Atul Gawande was keen to capture. The biggest problem I can see with my format is that it has 25 boxes! The very best tools I've seen in Person Centred Thinking have many fewer, like Michael Smull's "Important To/Important For" or Helen Sanderson's One Page Profiles. Such a 'big' tool might be too challenging to attempt all in one go, and might be just as daunting as some of those legalistic documents. This kind of brilliant simplicity might offer people a much easier format for their discussions, which they could combine with conversation starters such as Fink Cards. 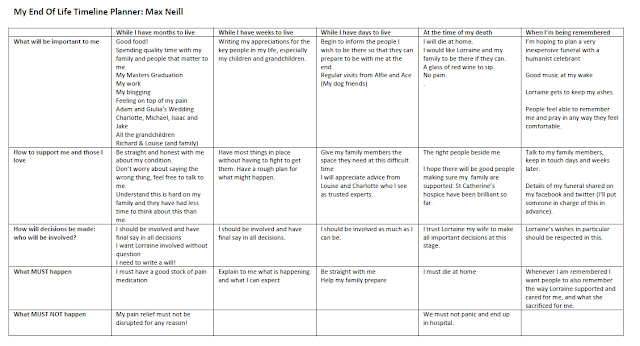 I can see that I still need to do plenty of thinking, and add much more of my own detail in the different headings, but this may be made easier for me and my family and friends by using this cleaner, less crowded 'one page' approach. So as far as I'm concerned this is a work in progress. I'd be interested in people's ideas about getting the questions and headings exactly right. 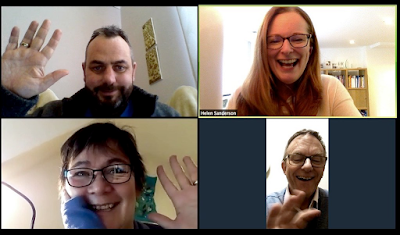 A group of us (Helen Sanderson, Sarah Russell, Sharon Hudson and Philip Ball) kicked the various formats around and speculated about how they might be tried out and improved in a practical and invigorating online discussion. We'd love other people to get involved and 'crowdsource' ideas about how we can maximise the way we gather people's end of life wishes so that it works for people and can be led by them, rather than being a 'top down' process dominated by the professionals. 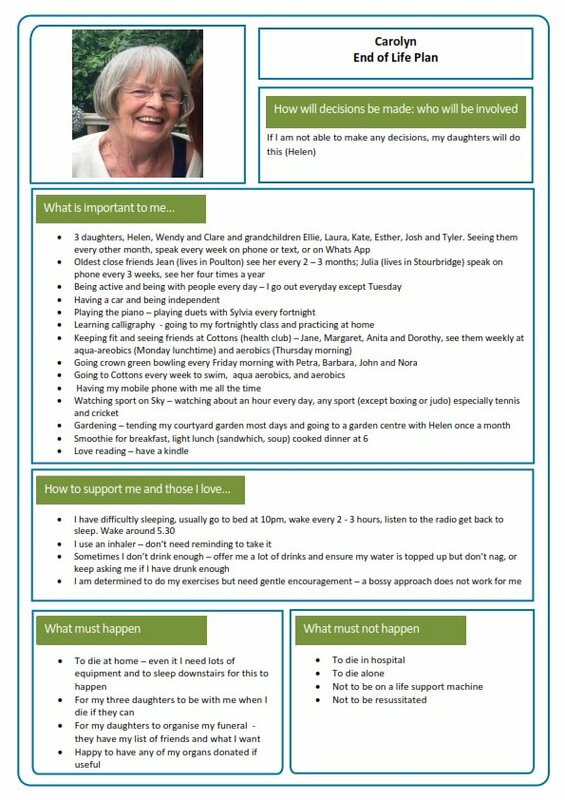 Also Sarah Russell is going to blog soon about how these ideas for formats fit in with current research, legislation and best practice at end of life, and we will also be bringing the discussion to twitter so that lots more people can join in. Watch this space as we'll soon be announcing the date for a "Twitchat". 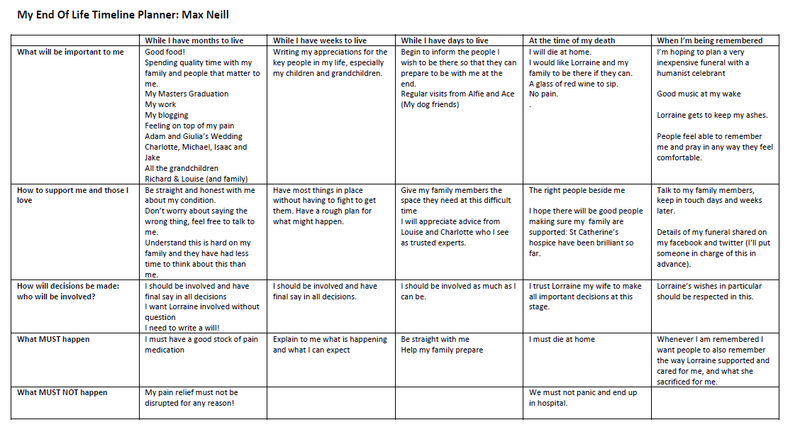 We want to maximise the way people can express their wishes for their end of life care, so the hashtag we'll be using for all these discussions is #maxeolc. A twitchat is a chance for anyone to join in! I would be really pleased if readers of this blog would pitch in with your own experiences of good and bad end of life care, and with your own ideas of how we can create planning formats that really work for people. I know your views and experiences will make a difference! The NHS has failed to investigate the unexpected deaths of more than 1,000 people since 2011, according to a report obtained by BBC News. It blames a “failure of leadership” at Southern Health NHS Foundation Trust. It says the deaths of mental health and learning-disability patients were not properly examined. Southern Health said it “fully accepted” the quality of processes for investigating and reporting a death needed to be better, but had improved. The trust is one of the country’s largest mental health trusts, covering Hampshire, Dorset, Wiltshire, Oxfordshire and Buckinghamshire and providing services to about 45,000 people. The investigation, commissioned by NHS England and carried out by Mazars, a large audit firm, looked at all deaths at the trust between April 2011 and March 2015. During that period, it found 10,306 people had died. Most were expected. However, 1,454 were not. Of those, 272 were treated as critical incidents, of which just 195 – 13% – were treated by the trust as a serious incident requiring investigation (SIRI). InvestigationsThe likelihood of an unexpected death being investigated depended hugely on the type of patient. The most likely group to see an investigation was adults with mental health problems, where 30% were investigated. For those with learning disability the figure was 1%, and among over-65s with mental health problems it was just 0.3%. The average age at death of those with a learning disability was 56 – over seven years younger than the national average. Even when investigations were carried out, they were of a poor quality and often extremely late, the NHS England report says. Repeated criticisms from coroners about the timeliness and usefulness of reports provided for inquests by Southern Health failed to improve performance, while there was often little effort to engage with the families of the deceased. The trust could not demonstrate a comprehensive systematic approach to learning from deaths. Despite the trust having comprehensive data on deaths, it failed to use it effectively. Too few deaths among those with learning disability and over-65s with mental health problems were investigated, and some cases should have been investigated further. In nearly two-thirds of investigations, there was no family involvement. It said that when the final report was published by NHS England, it would review the recommendations and make any further changes necessary. Learning is a tricky idea – learning is a very contested idea especially in the field of educational studies. Learning is not simply about gaining new skills or improving one’s competencies. True learning, according to the late great critical educator Paulo Freire, can be found when one’s perspective on the world is truly transformed by encountering the world. We like this idea of learning. And we put it out there as a model of learning. We hope to see those who work with people with learning disabilities – and anyone showing a passing interest in the Mazar report – to be truly transformed in their thinking. We want them to learn again; to learn that people with the label of learning disabilities are human beings, with rights and lives that we must value. Learning is political – Paulo and his comrades developed an approach to learning that they called critical pedagogy. In short this approach saw learning not simply taking place in the classroom (nor senior management meeting room for that matter) but in the wider world. To truly learn then one has to be part of the world and, crucially interested in changing the world. The Mazar report is a huge kick up the arse to anyone interested in improving the lives of people with learning disabilities. It demands not only accountability for past failings but a commitment to new ways of working with people so-labelled as equal stakeholders, full citizens and fellow human beings. Learning should eradicate discrimination – no one ever knows everything nor should they ever think that they do. True learners are always modest, uncertain and questioning. But learners should always be engaged with the inequalities endemic within our society. And learners should desire an end to discrimination and oppression for example in the lives of people with the label of learning disabilities. A learning journey should involve visiting people and destinations in order to learn from examples of good practice and communities that value equity. One destination we suggest is self-advocacy; and there are many groups in the UK who can offer wisdom and advice. Learning should be uncomfortable – the more we think we know then the more we feel uncertain. We find ourselves outside of our comfort zone; perhaps questioning what we thought we knew in the first place. One response to this is to find an easy answer – or a safe place – that protects us from uncertainty and makes us feel less confused. This is a mistake. Our learning journeys should push us into some difficult spaces and places. 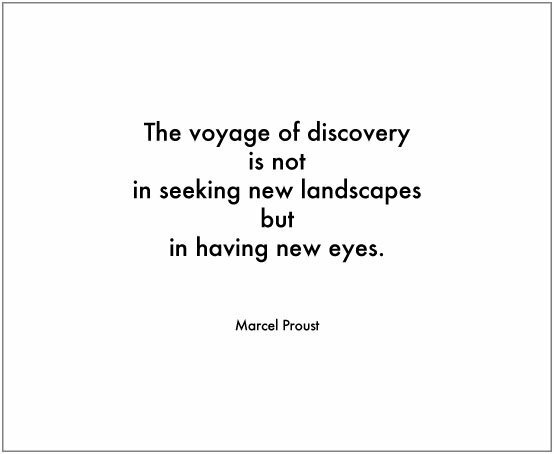 And when one finds a location really uncomfortable then perhaps now is the time to move on to another destination for learning. And “How am I going to learn?”. These human questions are political and social because we have to recognise how the voices of disabled people and their carers have not been heard in current discourse. They certainly don’t seem to be heard anywhere near enough in the immense task of designing healthcare systems that work for the people that use them. This may seem like a task for the technocrats, and those flashy people who are great at producing organisational flowcharts and speaking inspirationally next to flipcharts – those people are no doubt useful, but the serious work of real learning happens elsewhere, other people must be listened to, involved and empowered first. The answer to “who am I going to learn from?” must be from people who are the real experts in their own lives. This means listening to people with disability and mental health labels, with lived experience of how services succeed and fail, and to the people who love and care for them, their families. It cannot be overemphasised that the key to good services lies with listening to the people who use those services. Every layer of the organisation must be committed to learning, and involve itself seriously in listening precisely to these people, particularly and especially those formally charged with power to make change in the organisation. The answer to “How am I going to learn?” must be thought about seriously too. Listening to learn from people requires a genuine and quite humble commitment to hear and to act on what is being heard, and services find this very difficult. It’s a process that requires building up longer term trusting relationships because learning is not shared easily or automatically. Somehow a relationship that is often characterised by mutual recrimination and suspicion has to be transformed into one where the people who matter in the process feel genuinely listened to and valued for the contribution they are making. Real listening goes far beyond patronising consultations that some bodies conduct. It to become genuine coproduction, where information is open, hierarchical positions are abandoned, and there is ‘power with’ rather than ‘power over’. A turn of phrase our Paulo would like. Listening to and involving people must become part of the everyday life of the organisation, a habit so entrenched it seems natural. The dialogue in such coproductive spaces should be in clear everyday language that enables everyone to be included and to contribute. Time and space can be given to people who need to develop what they are trying to say. It’s a task for the whole organisation, not a little special section tasked with listening on behalf of the organisation, when the real decisions are made elsewhere. This process of learning is the opposite of the dehumanisation revealed by the various reports and inquiries. It requires recognising people as human beings with expertise in their own lives, and on the way services impact on those lives. It requires climbing out of hierarchies and interacting in human ways with a serious commitment to listen and make change. 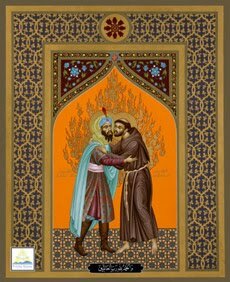 The impact of interacting in such human ways changes the values and language of all the people involved, and we hope creates systems where human beings lives are no longer easily disregarded, because they are people we know, people we care about, people who we recognise as human in a fundamental way. Our hunch is that perhaps in some organisations the discriminatory assumptions prevalent in society are so deeply entrenched that such fundamental commitment to change from leaders remains a pipe dream. There are two alternatives. One is to decide that such genuine learning is impossible for bureaucratic and market driven service systems and do nothing. We know that if we follow this line nothing will change. The other is to decide to make a serious attempt at the change, and cultivate all the spaces where it can and does happen. Maybe learning won’t happen in the hopeful way we describe. We do know that when people with many different perspectives are drawn together, and they genuinely listen and learn to each other, the outcomes can be surprising. So, we are all for a learning journey, but where do we want to go?